Furgol, Edward (2002). 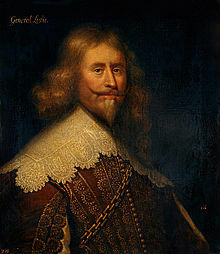 "Beating the Odds: Alexander Leslie's 1640 Campaign in England". In Murdoch, Steve; Mackillop, Andrew (eds.). Fighting for Identity: Scottish Military Experience c.1550-1900. Leiden. p. 33–59. Grosjean, Alexia (2002). "Royalist Soldiers and Cromwellian Allies? 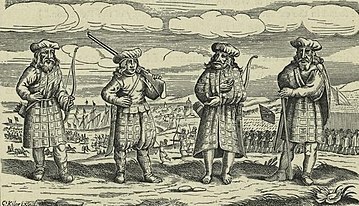 : The Cranstoun Regiment in Sweden, 1655-1658". In Murdoch, Steve; Mackillop, Andrew (eds.). Fighting for Identity: Scottish Military Experience c.1550-1900. Leiden. pp. 61–85. Grosjean, Alexia; Murdoch, Steve (2007). "The Riksråd Debates, 1638-1640 (Documents 117 & 118)". In Erskine, C.; MacDonald, A.R. ; Penman, M. (eds.). Scotland: The Making and Unmaking of the Nation, c.1100-1707. Major Documents. 5. Dundee. pp. 214–223. Paton, Henry (1893). "Leslie, Alexander" . In Lee, Sidney (ed.). Dictionary of National Biography. 33. London: Smith, Elder & Co. pp. 68–76.